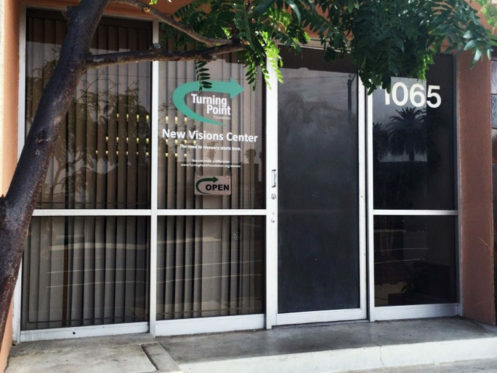 Turning Point’s Mental Wellness programs have 718 people participating, some daily. New Visions Center is a rehabilitation center offering members struggling with severe mental illnesses a place to learn symptom management skills, improve their community living skills, learn to live more independently, engage in work and productive activities, participate in recreational activities and become integrated back into our communities. Ventura County Behavioral Health referred clients receive mental health rehabilitation, vocational services including work training and paid work experience, as well as hot meals. Anxiety and depression are the world’s most common mental challenge, affecting approximately 16 percent of adults at some point in their lives. There are various forms of anxiety. Without treatment, they can become severe and persistent and can lead to physical symptoms. Stress-related events, such as the holidays & birthdays, trigger half of all depressive episodes. If you or someone you know is suffering with depression or anxiety educate yourself and get help from a doctor. Medication and therapy are scientifically proven to help improve your mood. We can help you connect with Ventura County Behavioral Health for a referral. 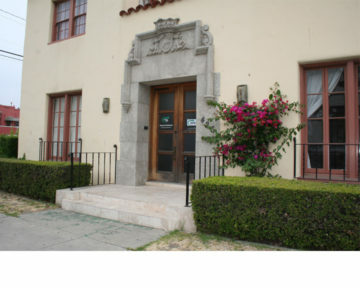 The Oxnard Clubhouse, is a rehabilitation centers offering members struggling with severe mental illnesses a place to learn symptom management skills, improve their community living skills, learn to live more independently, engage in work and productive activities, participate in recreational activities and become integrated back into our communities. 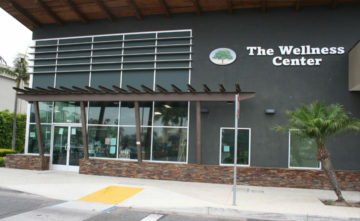 The Wellness Center is a peer support program staffed by Peer Support Specialists. This innovative program is based on the nationwide movement to integrate peer staff into mental health services demonstrating the importance of self-help and peer programs as a part of mental wellness. Self-help is a valuable part of recovery from mental health and/or drug and alcohol recovery. 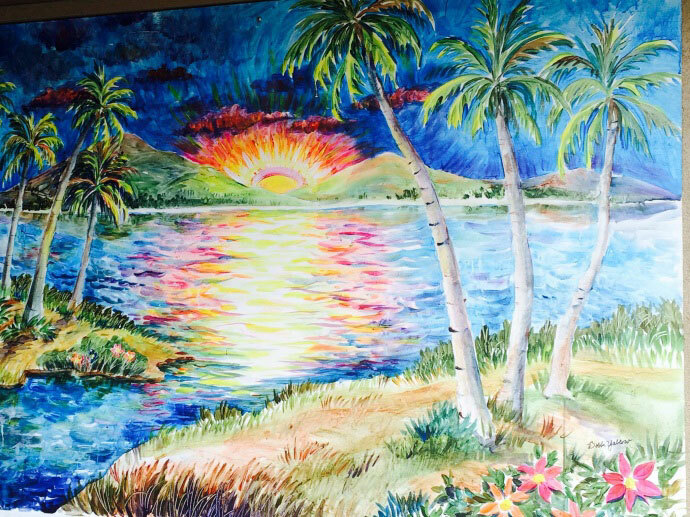 Turning Point volunteers Bobbi & Barry Yablow, painted this mural for our beautification project for Sunrise Manor, a board & care facility. Quality of Life provides Peer Support Services in 5 board and care facilities and 2 independent living facilities. All sites provide housing for individuals with serious mental health challenges. QOL program improves the quality of life of the residents through individual relationships with peer support staff, recovery groups, group activities within the home, and activities in the community that promote community integrations. Quality of Life creates an environment in these homes that promotes recovery and movement toward independent living when possible.